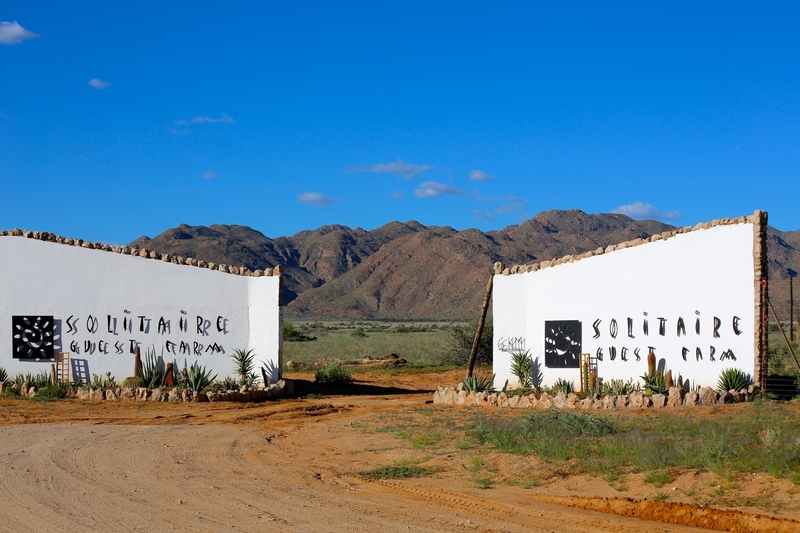 Solitaire Guest Farm is located in Solitaire, Namibia, between wide open plains of the Namib Desert and rugged granite mountains where you will find a little oasis with friendly Namibian hospitality. 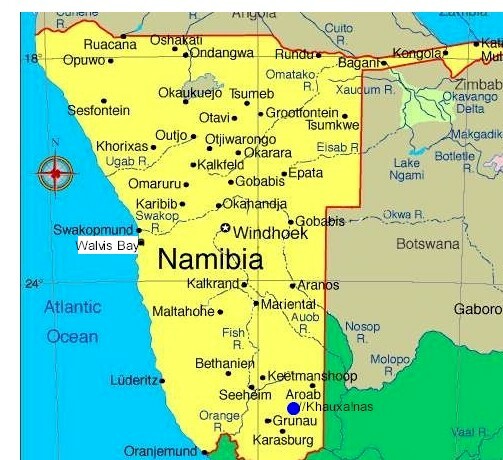 It is the perfect place to relax for a few days or stop over en-route to Sossusvlei, Sesriem Canyon, the Namib-Naukluft Park or coastal towns of Walvis Bay and Swakopmund. 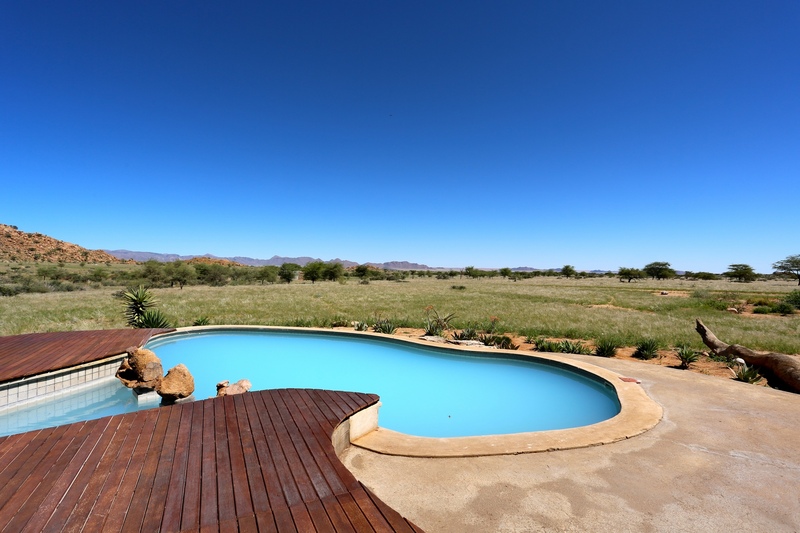 Relax in our swimming pool with stunning views over the desert, admire the nature on a walk or sunset drive and enjoy real farm cuisine. 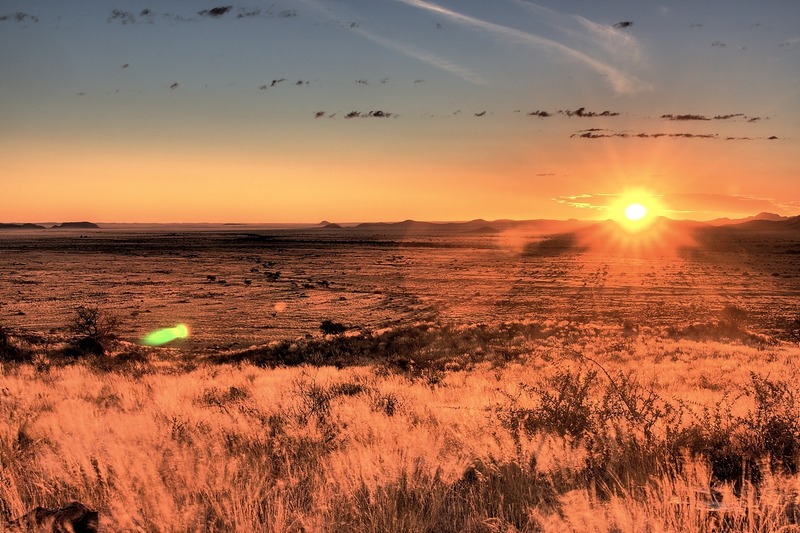 Experience Africa's wilderness and game on a "Night Drive" and visit the miraculous mountain that looks like a human skull. 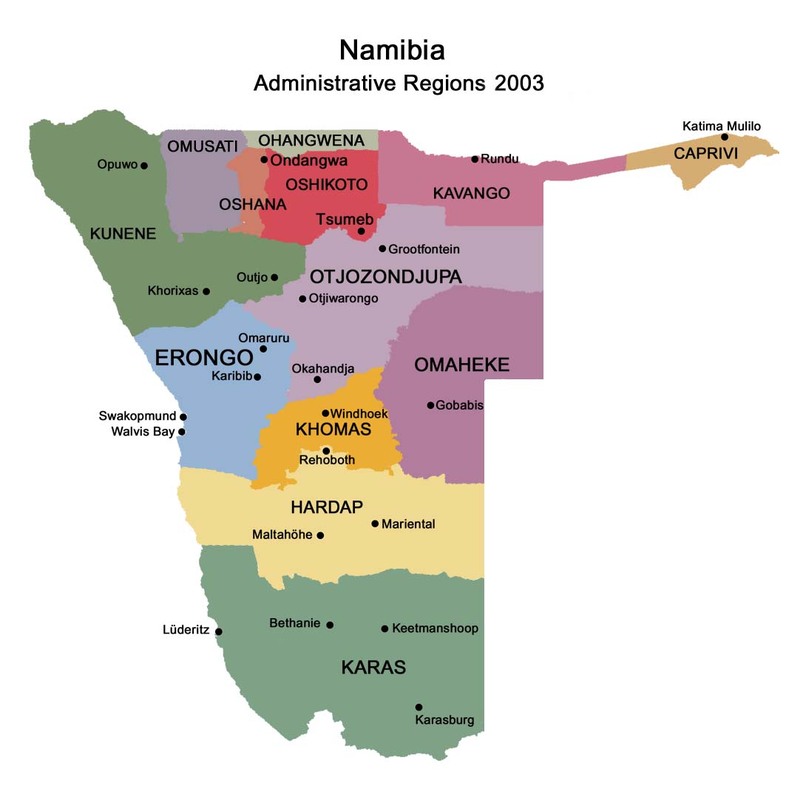 You also can do day trips to the Sesriem Canyon/Sossusvlei, the Naukluft Mountains and the three passes, Spreetshoogte, Remhoogte and Gamsberg. Our Authentic Africa themed en-suite rooms are located in the original 1950's farm house. We offer single, double and family rooms. All tastefully decorated with spacious bathrooms and a ceiling fan. 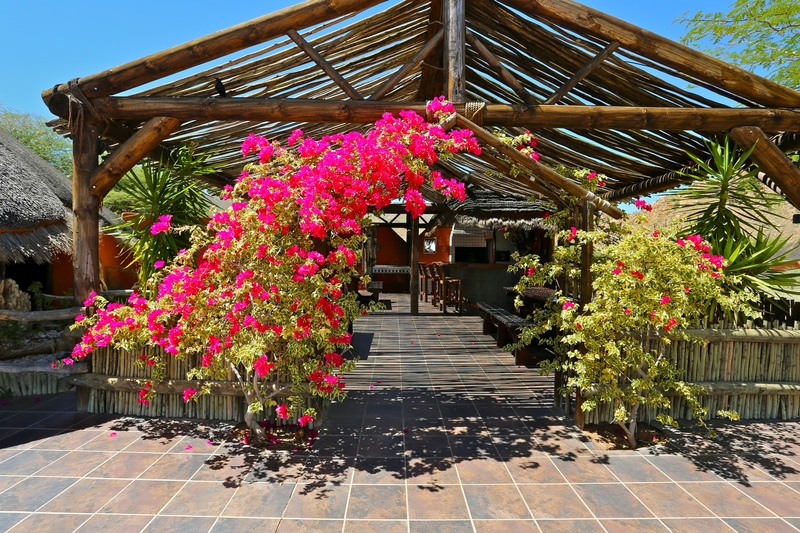 For those who are looking to enjoy some extra privacy and comfort we offer a spacious thatched luxury house located right at the base of the mountains. 2 en suite bedrooms each with a double and single bed. A fully equipped kitchen and dining area. A stylish and comfortable lounge to relax. A veranda overlooking the desert perfect for watching the sunset. Our picturesque camp site has everything a camper needs. 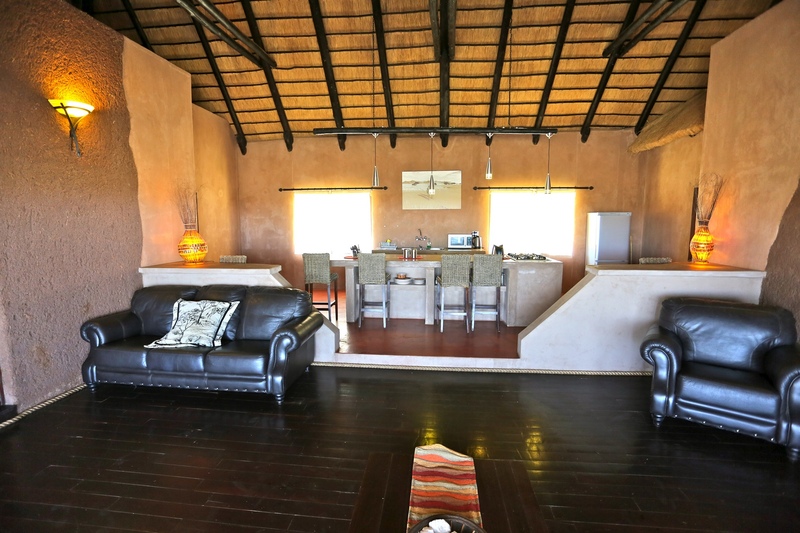 In addition to the spectacular view we provide shade huts, braai areas, electricity and spacious showers and toilets. There is not one but two swimming pools available for all guest to enjoy. Delicious dinners and breakfasts are served up every morning and evening at our elegant dining room underneath a traditionally thatched lapa. Dinner and breakfast is included in the price our en-suite rooms but also available to other guests upon request. After a hard days travelling, hiking or relaxing there is no better place to unwind than our bar equipped to quench any thirst. The bar also has a dart board and a fire pit to huddle around and share stories of adventures. 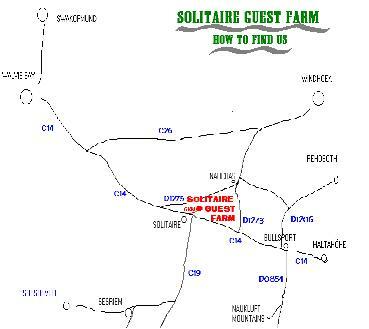 The entrance to Solitaire Guest Farm is only 500m from the Solitaire gas station. Hosts offer 6 en-suite rooms, a self-catering house and campsites. 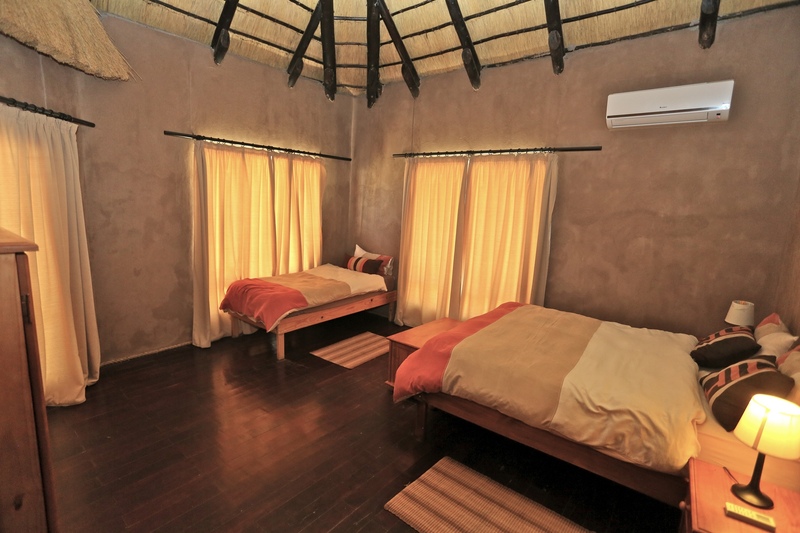 Accommodation consist of 6 en-suite rooms, one self-catering house and 2 nature camp sites.